Success! Nwet (BB) from Burma raised $693 to fund a CT scan. Nwet (BB)'s treatment was fully funded on July 9, 2018. Nwet (BB) underwent a CT scan. 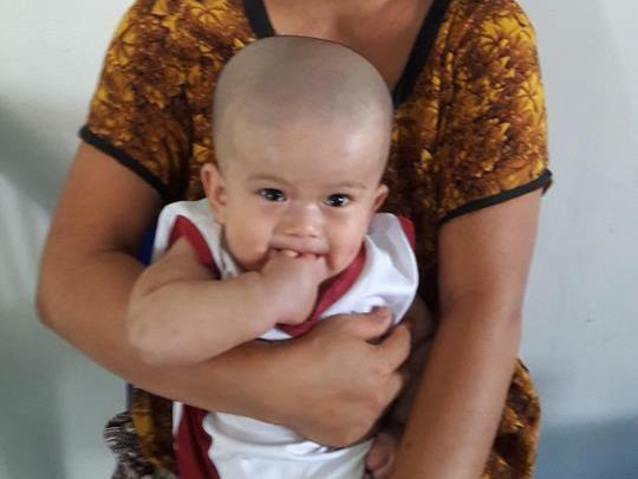 Nwet (BB) received a CT scan at Chiang Mai Hospital, and the result showed hydrocephalus, or swelling in the brain. He was scheduled for a VP shunt surgery after the CT result. Fortunately, he underwent a successful surgery. Nwet (BB) is a five-month-old baby boy from Burma. He lives with his family in a village in Karen State. 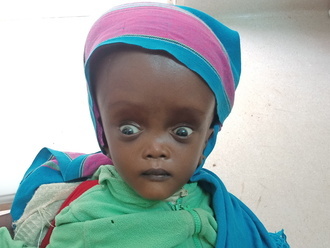 Once he was born, the nurses noticed a protrusion on back of his skull, a neurological condition called encephalocele. He already had surgery but now his head is getting bigger. Doctors want Nwet (BB) to undergo a CT scan, a procedure in which x-ray images taken from several angles are combined to produce cross-sectional images of the body. This scan will hopefully help doctors diagnose his condition and formulate an appropriate treatment plan. Our medical partner, Burma Children Medical Fund, is requesting $469 to cover the cost of Nwet (BB)’s CT scan and care, scheduled for May 21. Nwet (BB)'s case was submitted by Bue Wah Say at Burma Children Medical Fund in Burma. Nwet (BB) was submitted by Bue Wah Say, Project Officer at Burma Children Medical Fund, our medical partner in Burma. Nwet (BB) received treatment at Maharaj Nakorn Chiang Mai Hospital. Medical partners often provide care to patients accepted by Watsi before those patients are fully funded, operating under the guarantee that the cost of care will be paid for by donors. Nwet (BB)'s profile was published to start raising funds. Nwet (BB)'s treatment was successful. Read the update. Nwet (BB)'s treatment was fully funded. Keus is a 72-year-old rice farmer from Cambodia. In his free time, he likes to visit with his friends and other relatives. 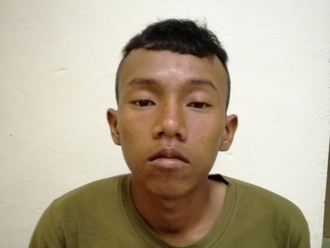 Three months ago, Keus developed a cataract in each eye, causing him blurred vision and photophobia. He has difficulty seeing things clearly, recognizing faces, and going anywhere outside. When Keus learned about our medical partner, Children's Surgical Centre, he traveled for one and a half hours seeking treatment. On March 11, doctors will perform a phacoemulsification surgery and an intraocular lens implant in each eye. After recovery, he will be able to see clearly. Now, he needs help to fund this $398 procedure. He says, "I hope that after my surgery, I am able to participate in ceremonies at the pagoda, and also continue to visit with my family and friends."